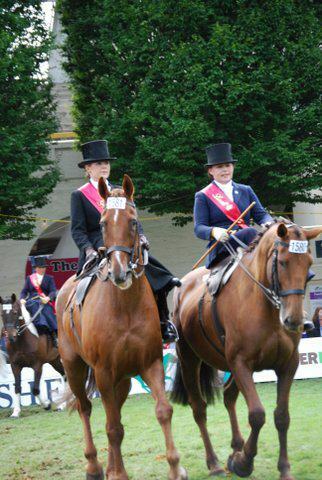 This year, there were no side saddle classes held at the RDS Dublin Horse Show. Instead, the organisers asked the one and only Miss Susan Oakes to put on some sort of a display. 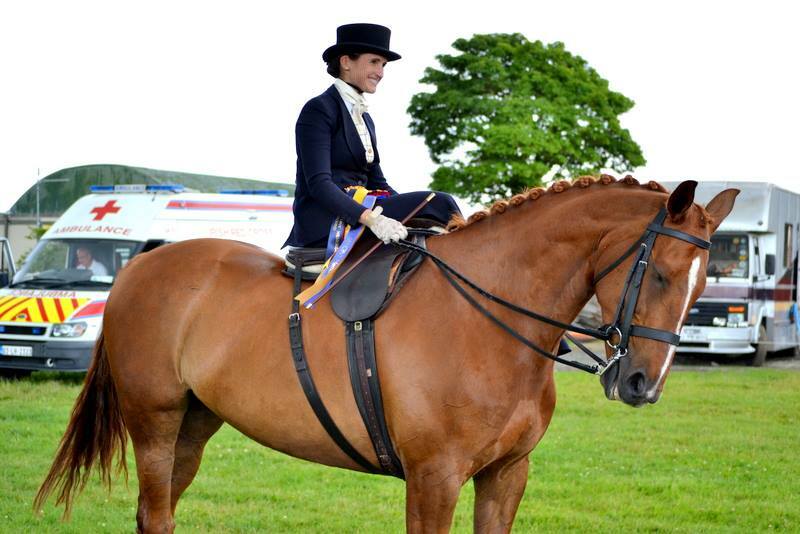 Susan put her thinking cap on and came up with the idea of an exciting display that would show case side saddle riding though five different disciplines, with some of the best riders in the country taking part. The display would showcase Susan Oakes for show jumping, Jennifer Torrance for showing, Jonah Wragg for hunting, Amie Garrigan for Concours d’Elegance and Hanna Bjoremark for dressage. I offered to write the commentary and in a bid to advertise the display I also set up a facebook event page on the SSA Ireland facebook page with some ‘taster’ photographs of what the display would entail. Jennifer Torrance will give a display based on ‘Showing’. Jennifer will be riding her own gelding ‘Peppermint Paddy V’ and will show us how to show off your horse to the best advantage at a competition, for a judge. She will also demonstrate how to mount and dismount correctly as well as trotting her horse up in hand to show the crowd what the saddle looks like. 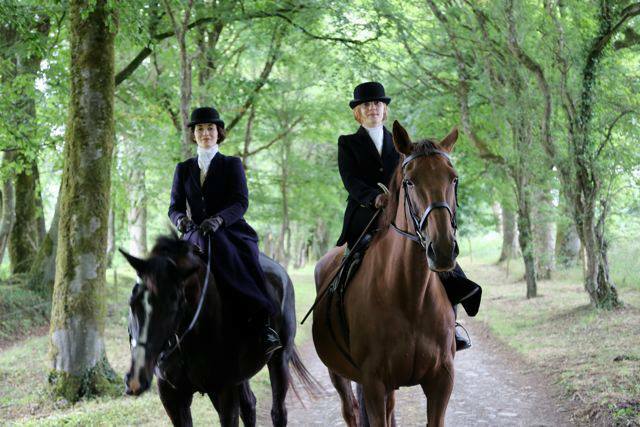 Jennifer is a side saddle instructor based in Co. Roscommon. 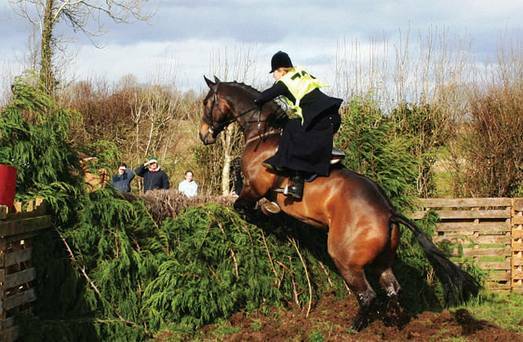 She has been riding side saddle since 2003 and was a member of the Legover Ladies team chase team as well as the ‘Bit on the Side’ side saddle display team in England. 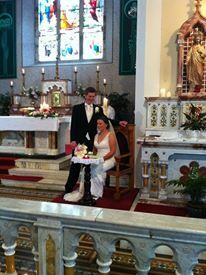 Photo copyright Sinead Ni Riain. 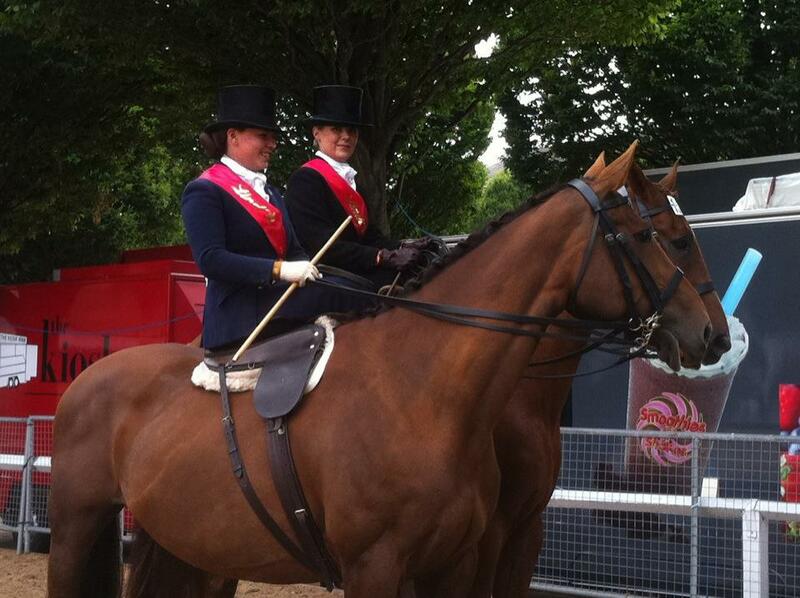 Amie Garrigan has been riding side saddle since the age of 8, coming up through the IPS ranks. 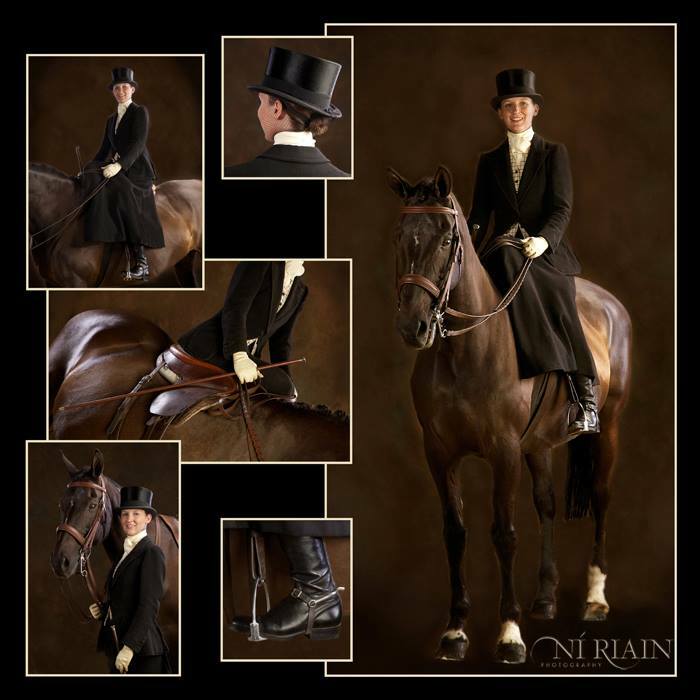 She has trained every horse she has ever had to carry a side saddle. Amie has been concentrating on eventing for the last number of years. She will be displaying Concours d’Elegance at the horse show. She will be wearing a beautiful historical costume. Concours is judged on the overall elegance and picture as well as the way of going of the horse. 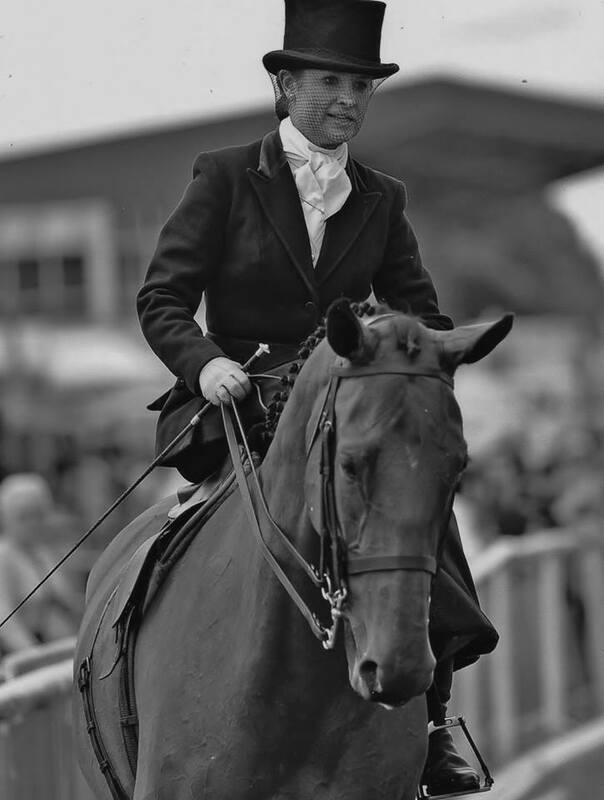 Jonah (Jonnie) Wragg will be promoting the art of hunting whilst riding side saddle. 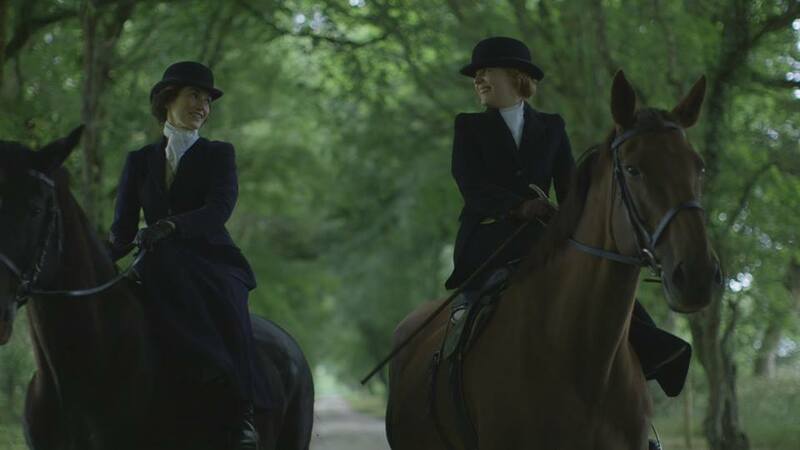 Jonnie has hunted side saddle her whole life with packs all over Ireland and the United Kingdom. She has also evented, hunter trialled and point to pointed ‘sideways’. She will be jumping the banks in ring two as part of her display and will be dressed in a beautiful tweed habit. 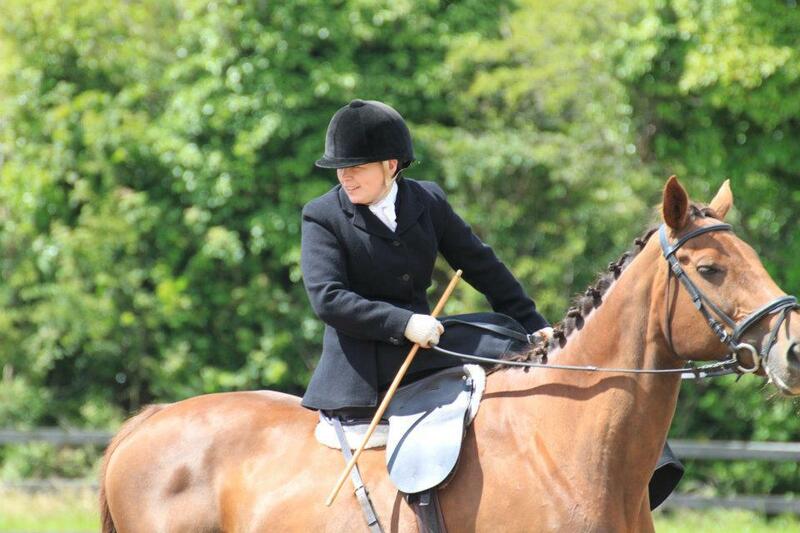 Hanna Bjoremark Deegan will be promoting the art of dressage whilst riding side saddle. 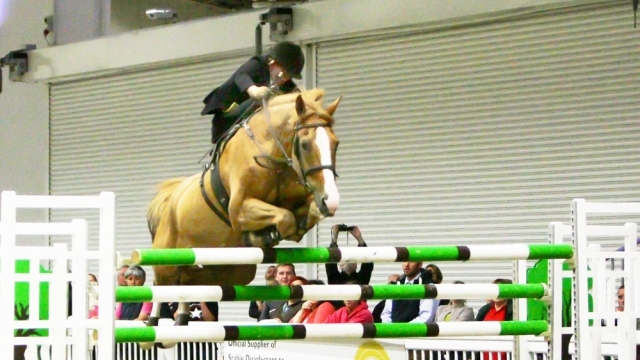 Hanna is originally from Sweden and will be riding her home bred swedish warmblood gelding ‘Fairflax’. This dressage partnership has previously won the advanced open riding club championship. 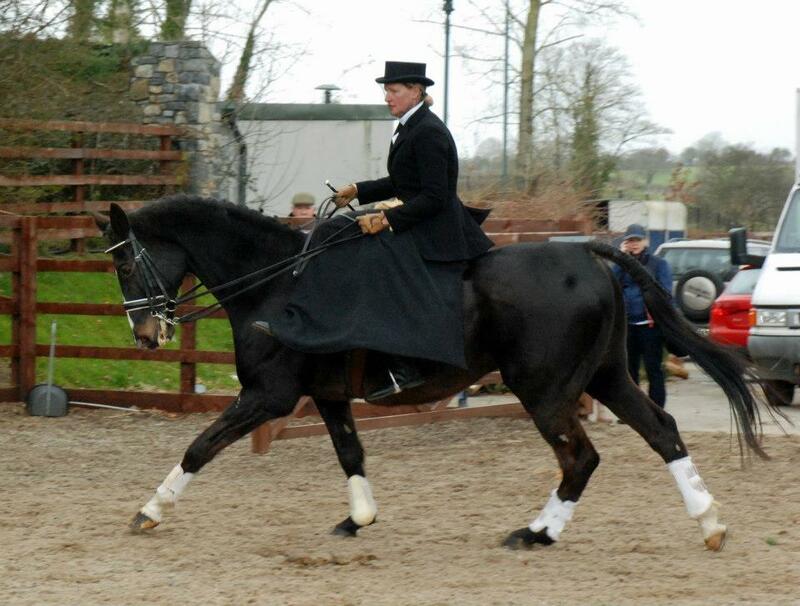 Side saddles can be used for any competitions run under Dressage Ireland rules. On the day, Hanna will display some advanced moves such as piaffe, passage, half pass, shoulder in, counter canter, pirouhettes, etc. We had a practice at our secretary’s house, and I had to come dressed in my habit so that the ladies in charge could check that I was presentable. 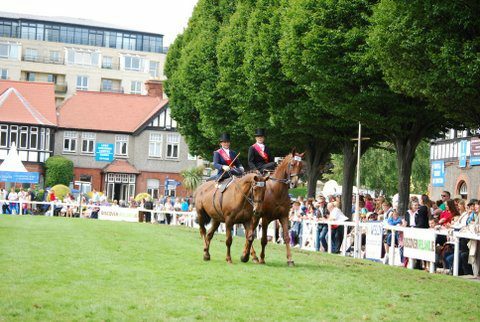 The RDS (Royal Dublin Society) Horse Show invited the Side Saddle Association to put on a display at their annual show to be held in August 2012. 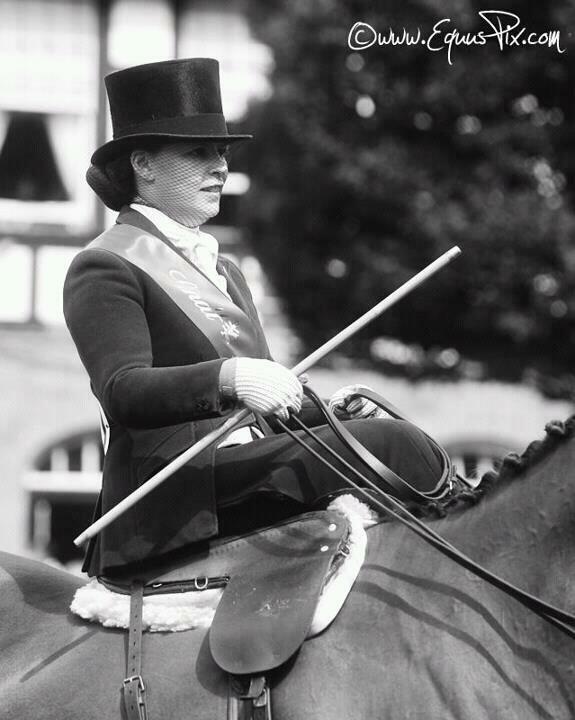 I immediately signed up to take part in the display as I had ALWAYS wanted to ride at the Dublin Horse Show, but seeing as I never competed in anything as a child and only at a very low level as an adult in the riding club, I had never had the opportunity before. We had to attend two training days, one in Tipperary and one in Wicklow. There were quite a few riders taking part and we learned a lot during the training! 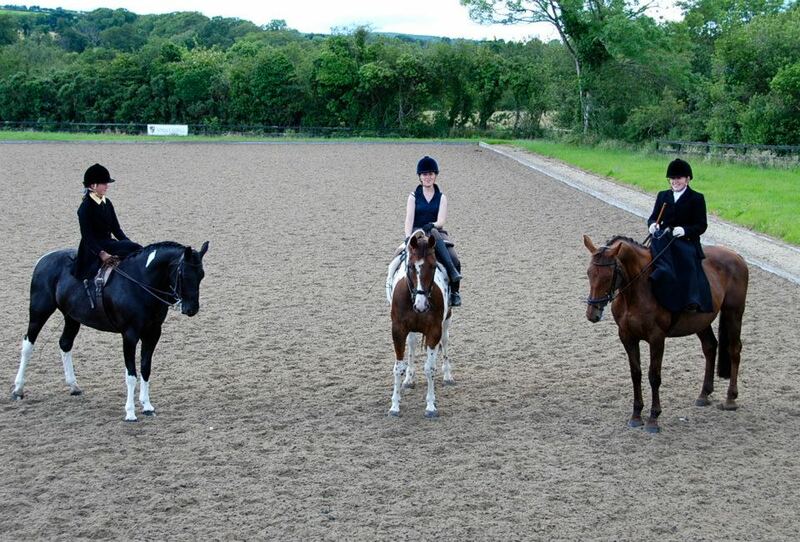 Horse show week arrived, I travelled to Dublin with Tex and my new side saddle friends Verity and Emily and their horses SueEllen and Duke 🙂 Having never ridden at Dublin before, I couldn’t believe the rigmarole when it came to dropping off horses, unloading gear, locking tack boxes, trying to find parking…! To be allowed to take part in the display at such a prestigious show was a huge honour and we were turned out immaculately- as Verity, Emily, Sarah and I left the stables to ride down to the practice ring at 1:30, people stopped, stared and smiled! 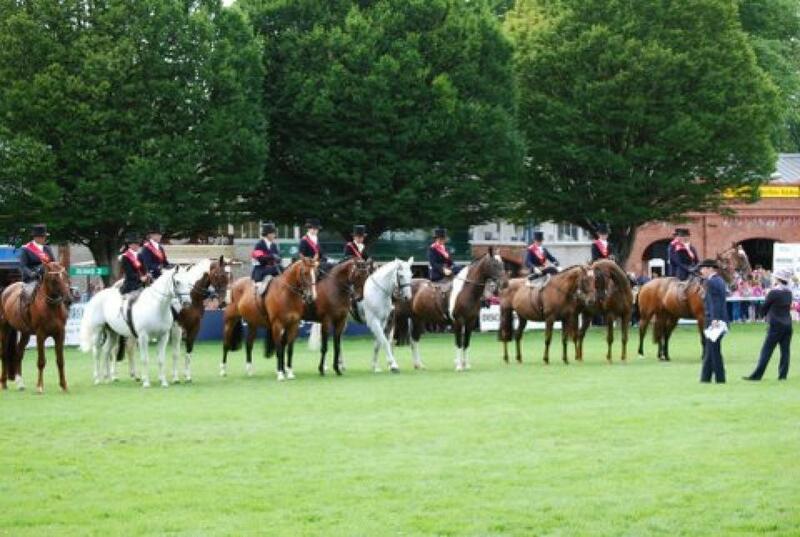 Our display was held at 2pm on the grass in ring 2. 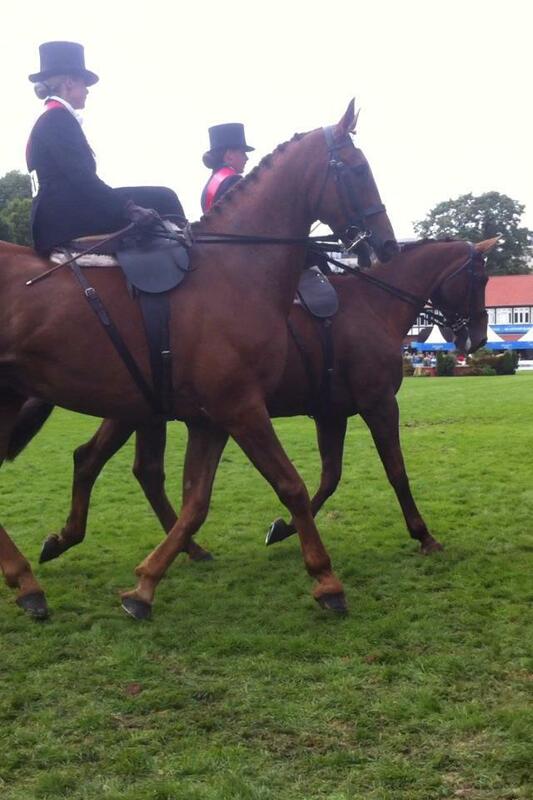 I was paired with Emily and Duke, we walked, trotted and cantered around the arena while a commentary was read out.